When Da Vinci teachers design student projects, they don’t do it alone. 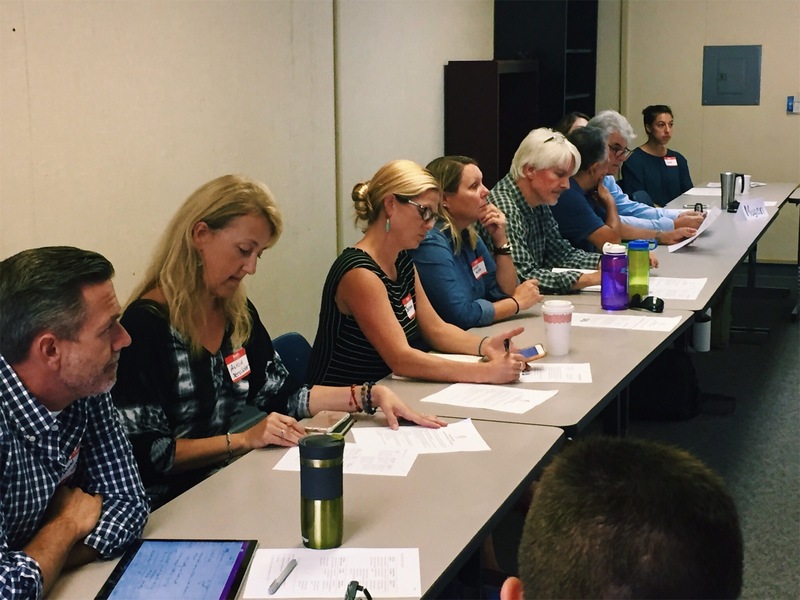 On Tuesday, industry professionals from a variety of sectors offered feedback on real world connections for upcoming projects. 72andSunny, Belkin International, Northrop Grumman, Facebook, Torrance Memorial Hospital, Deutsch, and Xero Solar were just a few of the companies represented in Da Vinci’s Fall Project Pitch Panel. “The teachers received good insight on how to leverage industry-utilized technology effectively for completing certain deliverables” shared one industry partner. “I thought all presentations had an aspect of real world connections. I think it’s really beneficial for the students to study current problems that are going on in the government and justice system today” said another. Through collaborating with industry to develop projects, teachers can align their curriculum with employer needs. Rather than projects designed in isolation by educators, Da Vinci Schools uses a holistic approach to co-develop projects in conjunction with industry. Such an approach leads to more a relevant, future-forward education. One teacher shared that the panel had meaningful feedback about the design process, resources, and connections. The Project Pitch Panel “provided an immense amount of creative thinking about PBL. I loved hearing the professional’s feedback because they were thinking beyond many of the boundaries that traditional education systems put on students’ learning experiences” shared another Da Vinci teacher. Industry connections did not stop at the event; many teachers and companies are now making plans to collaborate throughout the school year on the projects shared.